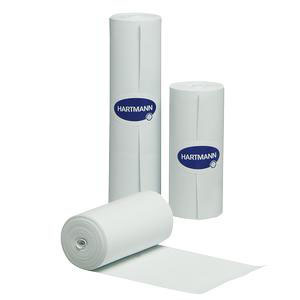 Hartmann Esmark Latex-Free Bandage is used for consistent pressure to extremities for exsanguination prior to surgery. It has elastomeric properties which make it the ideal choice for use in the surgical environment, especially during joint replacement procedures. It provides consistent, 400% elongations for ideal compression and ease of application. Hartmann Esmark Latex-Free Bandage is sterile and made of a unique, latex-free, poly-isopropolene compound. Less abrasive because it eliminates all natural rubber proteins and fatty acids normally associated with latex bandages. Delivers maximum protection for latex-sensitive patients and health professionals.